This entry was posted in Live Action Movie Reviews, Live Action Movies, Reviews and tagged Action, Ant Man and the Wasp, Comedy, Comic Book Movie, Film Review, Marvel, Marvel Cinematic Universe, Marvel Review, MCU, Movie Review, Review, Sequel by dreager1. Bookmark the permalink. Going to see this on Tuesday! Well, maybe not see so much as sit in the theater with blurred vision. I forgot I have an appointment with my eye doctor that day and usually get my eyes dilated. Oh, well. The tickets were free anyway, and at least I’ll have popcorn! 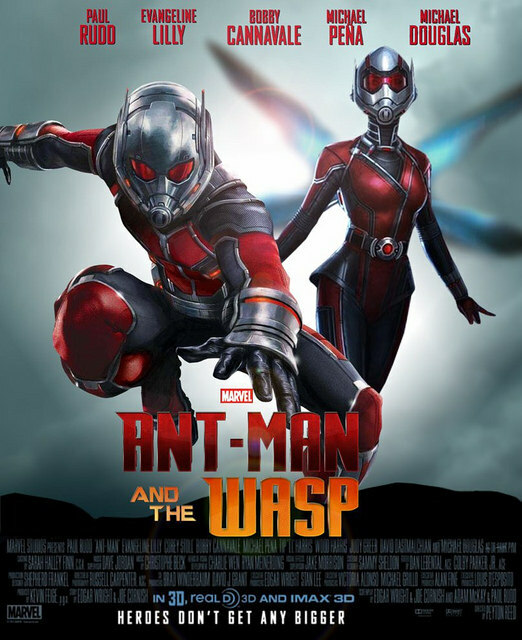 Seriously, though, I didn’t care much for Ant-Man, so I’m glad the sequel is improved. Awesome, you’ll definitely enjoy it! It’s a significant improvement over the first one. Too bad about the eyes part though. At least most of the film’s humor is dialogue based as opposed to visual gags so you won’t miss much there. Also, you can’t go wrong with free tickets!